Far Cry Vengeance wasn’t the series’ high point. It was pretty awful, actually. All video game series have a weak entry or two, and sadly even the stellar Far Cry franchise has had one or two dodgy entries to date. Such is the case of Far Cry Vengeance, a Wii exclusive that turned out to be something of a let down in 2006. 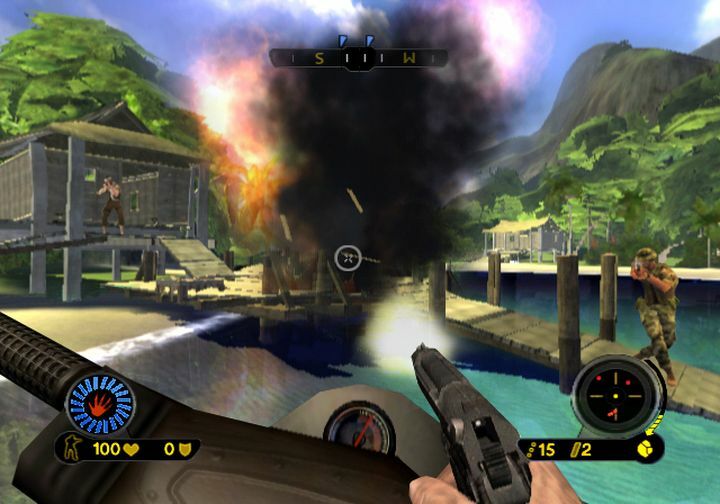 This is because while the original Far Cry was touted as a technical masterpiece and had visuals to die for, Vengeance had some of the worst graphics seen in a first-person shooter when it came out back in 2006. Actually, even the cutscenes were an eyesore in a game that still offered some decent FPS action in the usual jungle and military base settings of Far Cry. This also had pretty good motion controls, which did not quite make up for the weak plot and basic multiplayer, and the game’s other misgivings. All in all, this Far Cry game starring action hero Jack Carver misfired more often than not, and surely isn’t the best the series has offered to date.